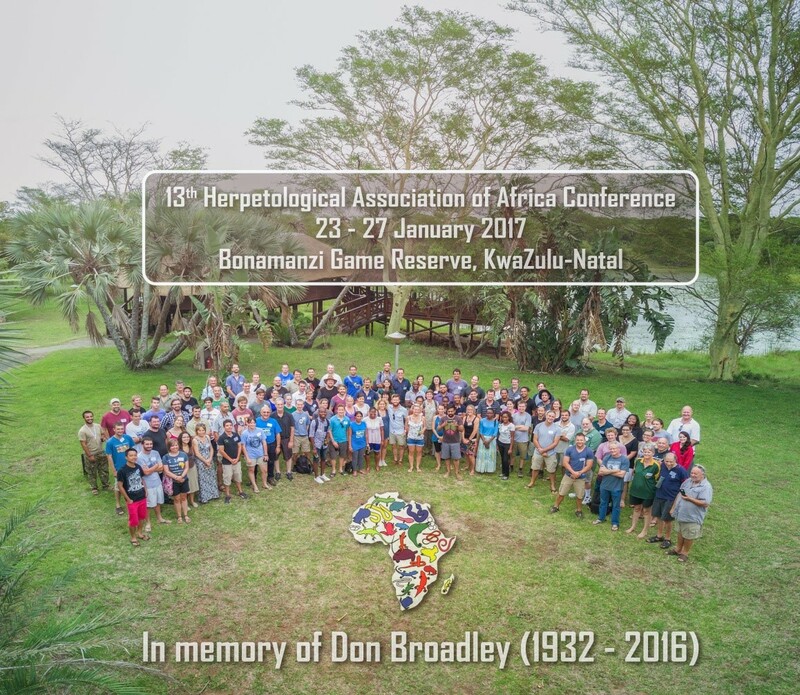 A brief summary of the 13th Herpetological Association of Africa Conference. Above, the delegate’s photo taken at the conference, courtesy of Mr Shivan Parusnath and his drone. I became a member of the Herpetological Association of Africa (HAA) almost a year ago now, and I can safely say it is one of the most worthwhile memberships I have. Founded in 1965 the HAA is dedicated to the study and conservation of African reptiles and amphibians. I have been working on my freshwater terrapin research here in South Africa for the past year. In that time I have constantly come across the surnames and research articles of many HAA members such as Branch, Alexander, Maritz, Harvey and Tolley to name but a few, and so was really looking forward to meeting and speaking with some of the continent’s best herpetologists. When the conference was announced back last year I knew it was a conference I could not afford to miss. I began work on a speed oral presentation for the conference explaining my work to date, methods, aims and future direction of my research. I was delighted to hear shortly afterwards that my abstract was accepted and I would be attending. I later found out that the conference would be held in the beautiful private reserve of Bonamanzi in Northern KwaZulu-Natal. Unfortunately having 130+ delegates in a badly air conditioned conference hall when it was 38 degrees outside was not the most comfortable experience for the first two days. Thankfully it cooled during the week but always remained a hot box of knowledge! Before attending the conference I had noted it was in honour of a Dr Don Broadley, one of the founding members of the HAA, who had unfortunately passed away in 2016. Here I must state my ignorance and admit I didn’t know who this man was previously, but it was a privilege to find out more about his life and career. Dr Broadley was one of the giants of African herpetology. He was born in the UK in 1932. It would be hard to say where his lifelong obsession with herpetology came from, but he was certainly completely committed to his passion. Dr Broadley began work in a snake park in Rhodesia (now Zimbabwe) where he was bitten on the index finger by a puff adder. Unfortunately the finger had to be amputated and Dr Broadley insisted afterwards of keeping it in his office in a jar of formalin as a reminder to be always 100% vigilant when in the presence of snakes. He even later went on to put his finger up for auction at a previous HAA conference in order to gain much needed revenue for the association! More than a 113 taxa bear Dr Broadley’s name in their scientific Latin names. He wasn’t just recognised as an expert in Zimbabwe and Southern Africa but all over the world, becoming a fellow of the Linnean Society in 1984, and with a publication record of over 410! 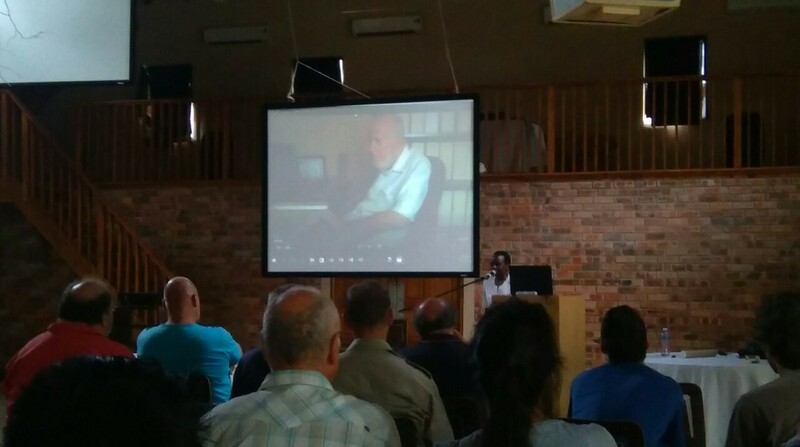 It is clear to see that Dr Broadley’s legacy in African herpetology is an outstanding and permanent one. The real sense of friendship and a shared passion, could not have been emphasised more than when Dr Broadley’s widow came to address the conference, the reception she was given in celebration of her late husband’s life was so warm and heartfelt you had a sense that this was a association that helps one another with their work and shared goals from start to end. Sheila Broadley speaking about her late husband Dr Don Broadley’s fascinating life and career. (Photo by Cormac Price). It was fantastic to hear as well from the current HAA Chairman Prof Graham Alexander how much the association has grown since its foundation, Prof Alexander remembered the first couple of bi-annual conferences just drawing groups of 20-30 people, compared to this year’s attendance of 130+. On saying that, it would be basically impossible to give a summary of all the talks here unfortunately (the book of abstracts alone was 39 pages). 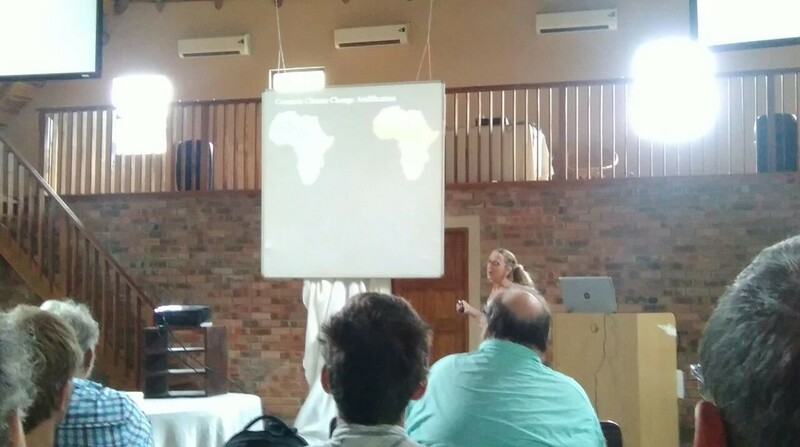 A few highlights though for me was Prof Krystal Tolley’s talk on habitat driven evolution in the African vipers in the genus Bitis,13 of the 18 species present in this genus occur in Southern Africa. Within this genus the diversity in morphology is huge with adult sizes ranging from 300mm up to 2m. The talk was fascinating in how it hypothesised the origins of the genus to be in East Africa and that the original habitat would have been forest. The radiation of species began by the aridification of Southern Africa and the movement of species throughout the region. Prof Krystal Tolley going into detail on the diversification of the genus Bitis and how within the genus body size evolution is driven in part by habitat. (Photo by Cormac Price). One of the keynote speakers at the conference was Dr Wolfgang Wuster of the University of Bangor. Dr Wuster is regarded as one of the world’s leading experts in snake venom and its evolution. A highlight of his talk for me was a new hypothesis Dr Wuster and colleagues are putting together, about the origins and evolution of the advanced mechanism of spitting venom predominately found in the genus Naja but also in the rinkhals. The evolution of spitting venom happens both in Africa and Asia around the exact same time as the appearance of man, and they suggest our evolution may have triggered the evolution of spitting as a defence mechanism against our attacks and predation on these species of snake. A final talk I would just like to mention is a behavioural one on one of Africa’s most widespread and feared species of snake, the puff adder (Bitis arietans). The research is being conducted by Dr Xavier Glaudas in Prof Alexander’s lab. This research consisted of setting up continuously recording video cameras focused on 86 individual puff adders. For the first time, it has now been documented that, puff adders extend their tongues (lingual luring) and waved their tails (caudal luring), to mimic an invertebrate prey species, in order to lure their amphibian prey within striking range. This research revealed for the first time a snake using two different mimicry strategies simultaneously, which only further strengths the point that ‘sit-and-wait’ predators, such as ambush-foraging snakes, may have higher cognitive abilities than most people until now had assumed. In short the conference was an excellent demonstration of all the ongoing reptile and amphibian research and conservation being conducted by HAA members. It was a pleasure to attend and network with fellow attendees and find out about their work and research. I was personally pleased how my speed oral on my terrapin work was received, and people seemed interested in finding out more about my methods, so am already looking forward to the next HAA event I can attend! 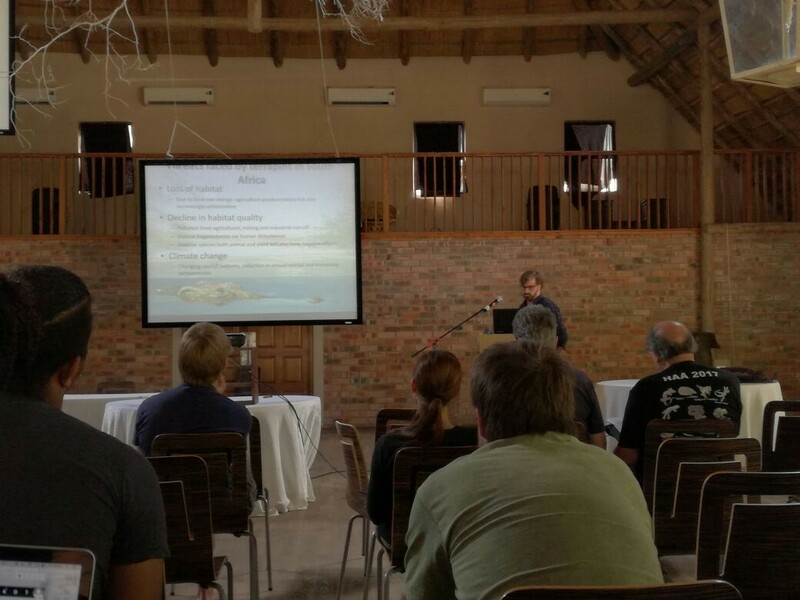 Presenting to the HAA conference on my own ongoing research into the spatial ecology population and conservation genetics of terrapins in Ndumo Game Reserve.